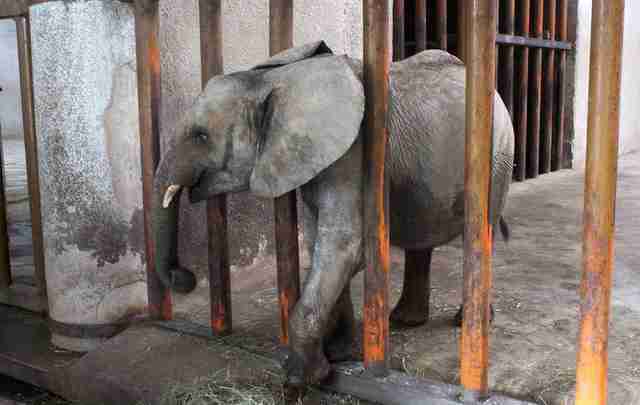 According to National Geographic, 27 elephants were supposed be shipped to Thailand last week and 60 were rumored to be heading to China. France recently canceled its own bid for up to 20 of the elephants, bowing to pressure from animal advocates. 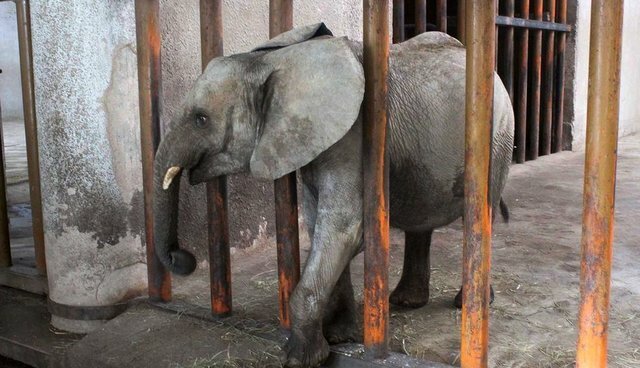 Just one elephant can earn $40,000 to $60,000 from a zoo or theme park. 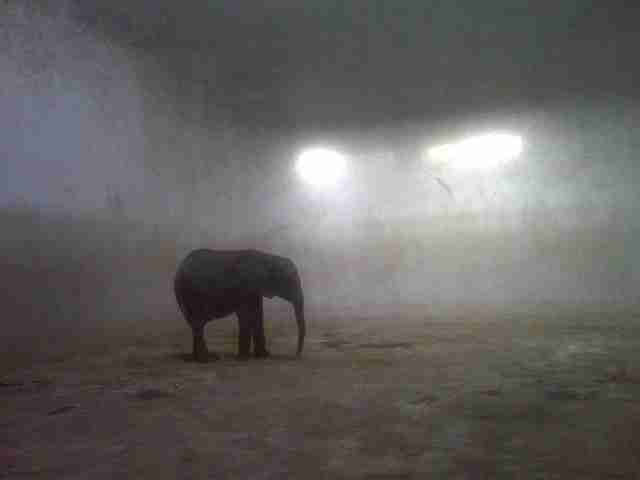 Right now, the young elephants are living in squalor at a holding facility in Zimbabwe, awaiting their fate. 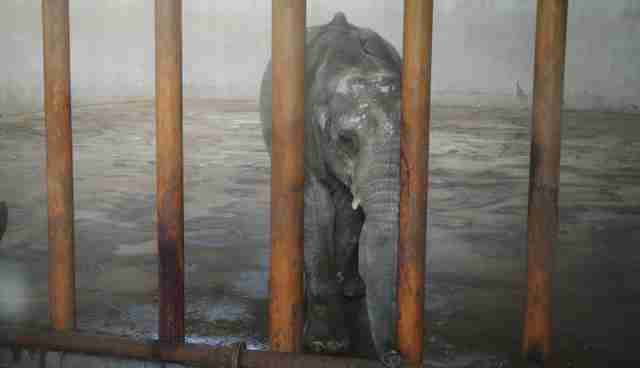 But it's not much better in many zoos around the world - young elephants like these in the Taiyuan Zoo don't experience much better conditions. 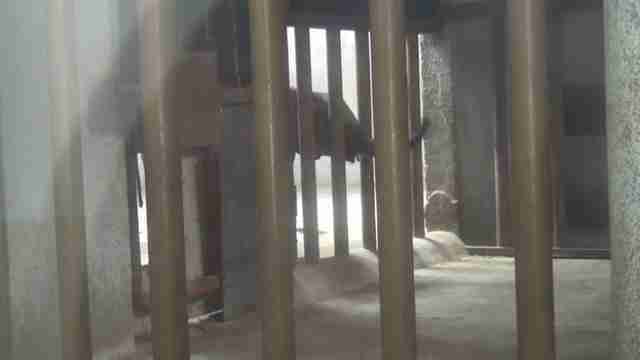 A source who's been inside the facility in Zimbabwe told National Geographic that the elephants are often crying out for their mothers and some have become weak. 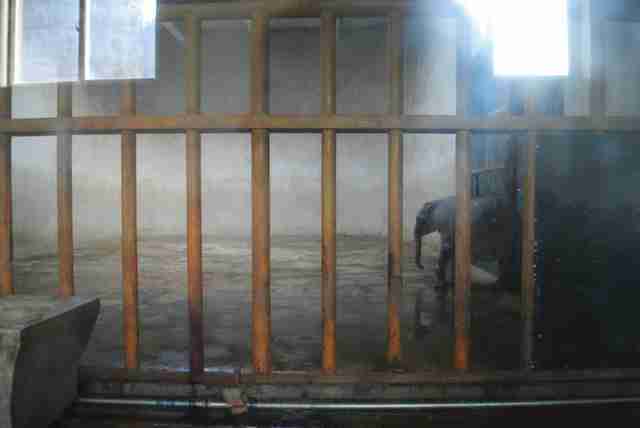 "The prisoners are so stressed, they're always crying for their mothers," he said. "They sometimes take days without eating because of stress." Zimbabwe has defended the captures by saying that the money will fund conservation efforts. But conservationists say that with elephant populations plummeting in recent years, African countries can't afford to lose even one more elephant. A petition calling on Zimbabwe officials to cancel the sales has already gained more than 60,000 signatures. 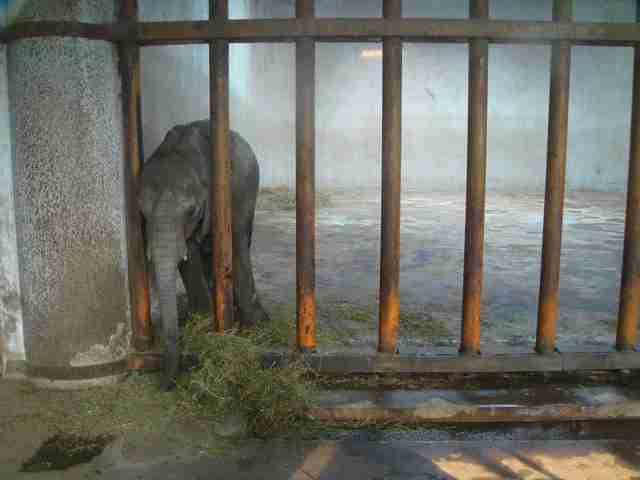 CORRECTION - This post has been updated to reflect that the baby elephants pictured are currently living in China, not Zimbabwe.